Pick a random Assassin's Creed fan from a group and ask them where they'd like to see the series go next. There's a good chance they'll tell you Japan. Since making the jump from 12th century Syria to 15th century Italy when the first Assassin's Creed game sequel came out, Ubisoft demonstrated the exciting potential of its main storytelling device, The Animus. Using this MacGuffin, Assassin's Creed games could theoretically go anywhere, to any time period and for any conflict. And yet despite having the entirety of human history as a potential setting, Japan comes up again and again as one of the most popular destinations for a future Assassin's Creed. 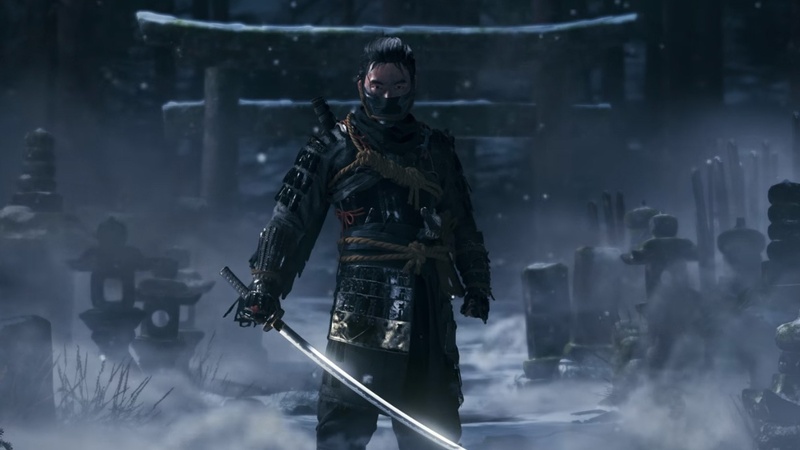 "I feel like Japanese ninja and samurai... would fit Assassin's Creed very well considering that the Assassins are pretty much ninjas and samurai, just without the armor," Reddit commenter 'Demonic74' tells USgamer via a comment on a Reddit thread. It seems like every year there's news of a new Assassin's Creed, interest in a Japan-set entry reignites. Just take the most recent commercial for this year's Assassin's Creed Odyssey where an actor playing the Spartan assassin Alexios answers real questions submitted by Assassin's Creed fans to an Amazon Alexa device. At around the 2:56 mark a person asks, "Alexios, tell us when AC Japan's coming out?" To which Alexios responds, "Let me tell you what I know about Assassin's Creed Japan. Nothing!" Digging back, I can find articles about whether or not there will be an Assassin's Creed game set in Japan as far back as 2012 when Ubisoft was promoting Assassin's Creed 3. At the time, Assassin's Creed 3 creative director Alex Hutchinson told OXM, "People on the internet suggest the most boring settings. The three most wanted are WWII, feudal Japan, and Egypt. They're kind of the three worst settings for an AC game." Ironically, Ubisoft did eventually make an Assassin's Creed game set in Egypt with Assassin's Creed Origins. But a couple years later Hutchinson revisited his statement to elaborate on what he meant specifically when he called Japan a boring setting for an Assassin's Creed game. Speaking with Total Xbox in 2014 ahead of the French Revolution-set Assassin's Creed Unity, Hutchinson said, "Feudal Japan would work as an Assassin's game, for sure, but I feel like it would start to look like 'oh, have I played this?' You know what I mean–'Oh, I've been a ninja before, I've been a samurai before.'" Assassin's Creed Japan Fan Concept by Derek Weselake. Permission granted by artist, source. I'm inclined to agree with Hutchinson. While his comments are four years old by this point, I broached a similar to question to Assassin's Creed fans for this feature. Why, when there are games like Sucker Punch's Ghost of Tsushima, From Software's Sekiro: Shadows Die Twice, and Team Ninja's Nioh 2, is there still such a demand for an Assassin's Creed game in a similar setting in 2018? "Sekiro and Nioh are fantasy and not Japanese history. Ghost of Tsushima is close, but a totally different era and most likely without much historical characters," Reddit user 'HaukevonArding' says. "I think it would be fun, but I understand why [Ubisoft doesn't] do it," 'QuickRelease1' adds. In video games especially, historical settings do tend to gravitate towards certain locations and time periods, feudal Japan key among them. Which is probably why we've been hearing the requests for Assassin's Creed Japan for so long. For instance, here's an artist rendition of an Assassin's Creed Japan game from 2014. Here's a 2015 article about why the next Assassin's Creed game should be set in Japan, and several more articles about how the next Assassin's Creed game could be set in Japan in 2016. Here are some hints that "confirm" Assassin's Creed will be set in Japan in 2017, including even a story about how Assassin's Creed might finally go to Japan from earlier this year. And none of these include the hundreds of YouTube videos on Assassin's Creed Japan. Sucker Punch's upcoming Ghost of Tsushima set during the First Mongol Invasion. A recent development in the Assassin's Creed Japan discussion is how Japan can offer a potential way back to the "classic" style of Assassin's Creed games. "I don't really care to have a Japanese [Assassin's Creed] if it's going to be in the same style as Origins/Odyssey because yeah we already have games like that, but if it were like Unity gameplay? I'd have such a blast with it," user Sean3192 says. "If in like [five] years a feudal Japan game would work especially because by then they could do another series revamp once people are sick of the RPG format," explains Ex-President1209. For some, the easy translation of Assassins in Japan by way of ninjas could mean that Ubisoft could ditch the RPG-elements of Assassin's Creed Origins and Odyssey and revert to a more action-oriented format. While it's unlikely Ubisoft will abandon the trajectory of recent Assassin's Creed games, especially since the RPG-elements are one of the more positively received improvements to the series, it speaks to how natural Assassin's Creed Japan feels to some players. Which brings me back to Hutchinson's comments from 2012. While they were controversial at the time, I can't help but agree with him. Assassin's Creed in Japan would be easy, and in the Assassin's Creed games since Assassin's Creed 3, Ubisoft has proven apt at breaking the rules of what an expected Assassin's Creed game should have. Assassin's Creed in Feudal Japan would fit an old mold of the series. 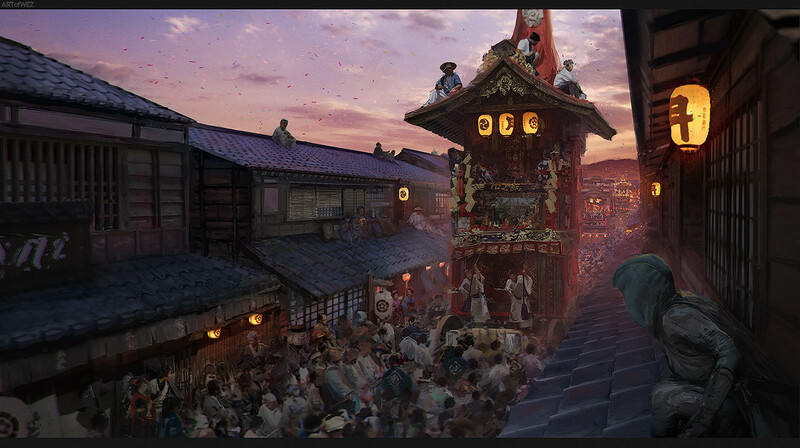 Namely old Edo would have tall structures to jump from, a classic metropolitan location that can act as a standard hub, and ninjas and samurai lend themselves to the stealth and sword combat of Assassin's Creed. But Origins and Assassin's Creed 3 proved that you don't need a setting with tall structures for Assassin's Creed. Odyssey and Origins showed how massive Ubisoft can make their worlds, doing away with the need for a central city hub. Assassin's Creed 4 and Syndicate showed that assassins aren't all about swords and blades. 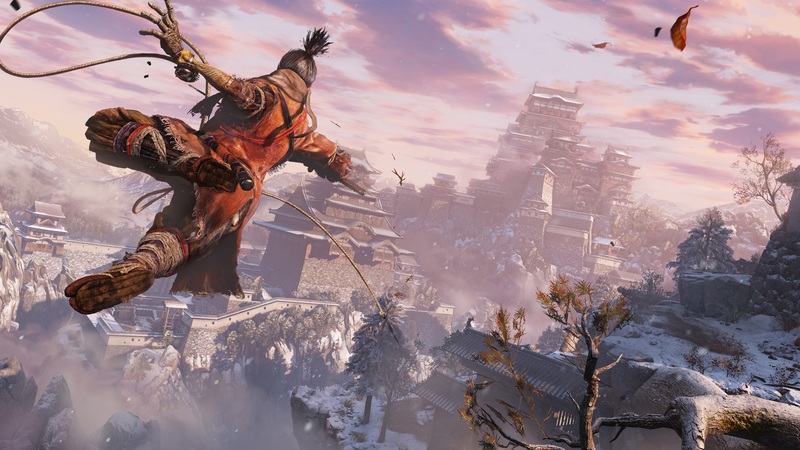 Sekiro is described as From Software's take on Tenchu. In a recent Game Informer interview with Ubisoft's chief creative officer Serge Hascoet, he reiterated that the most important thing about deciding the next Assassin's Creed game is the setting, not characters. "When we decide what's next, the main question is, 'what the next period is we want to visit?' That leads everything." And "want" might be the operative word. There's a strong chance that Ubisoft knows how conventional an Assassin's Creed game set in Japan could feel, even with all the iterations and changes the studio can make. Hutchinson is right, there are a lot of ninja video games and there are three coming out in the next couple of years alone. The very thing that makes Japan such a popular potential setting for Assassin's Creed could be the very thing that keeps Ubisoft from visiting the Land of the Rising Sun. After all, there's plenty of human history ready to be mined. Tagged with Feature,	japan,	Ubisoft.